Today is the results day and I know you all must have been waiting eagerly for this! 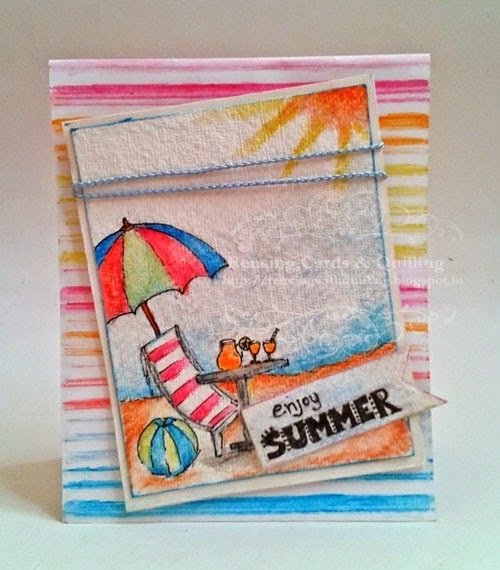 Firstly, let me thank you all for playing along with us at our Challenge#28- Summer theme CAS cards. It is always wonderful to see such beautiful creations! Here I would like to mention that some of you weren't careful enough and guideline weren't followed. We asked for CAS and Summer theme and Our Summer colour palette in your cards. We always love your creations and it feels so bad when entries get disqualified as we do recognise how much efforts are put in to create such lovely cards. So please do have a look at the Rules for each challenge and the general guidelines. Let's begin with the winners announcement! We loved your card Ramya! The quilled water melons were the show stealer! So summery indeed! Jasleen's card was a perfect CAS. So clean, with all the white space and no embellishing! We loved the beach scene and every little detail in the picture. 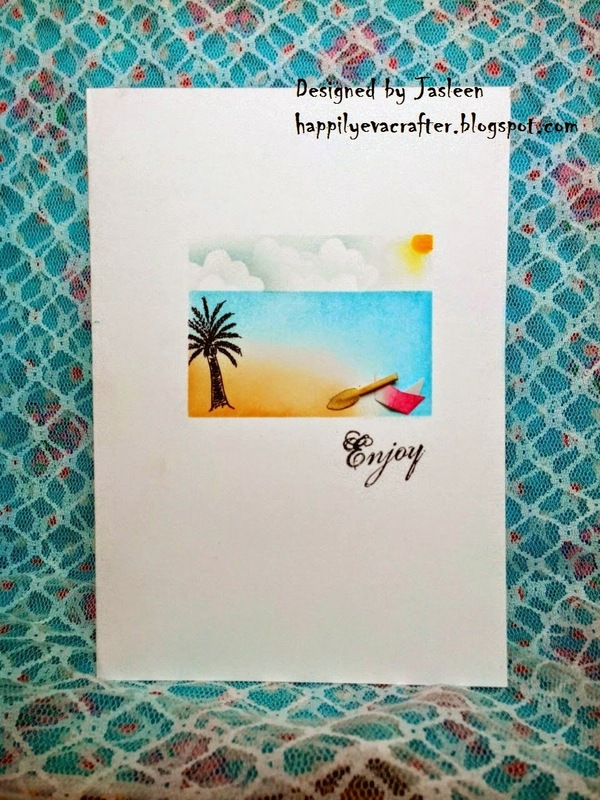 We love how Pooja used the entire colour palette in her beach theme! 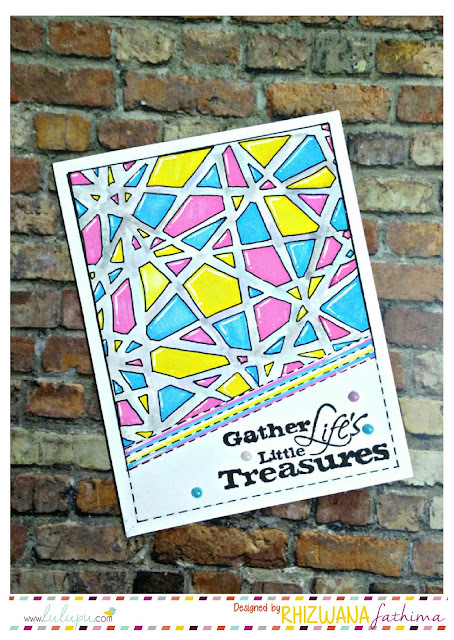 Her hand drawn images are so beautiful and the theme she chose was so apt for the challenge! 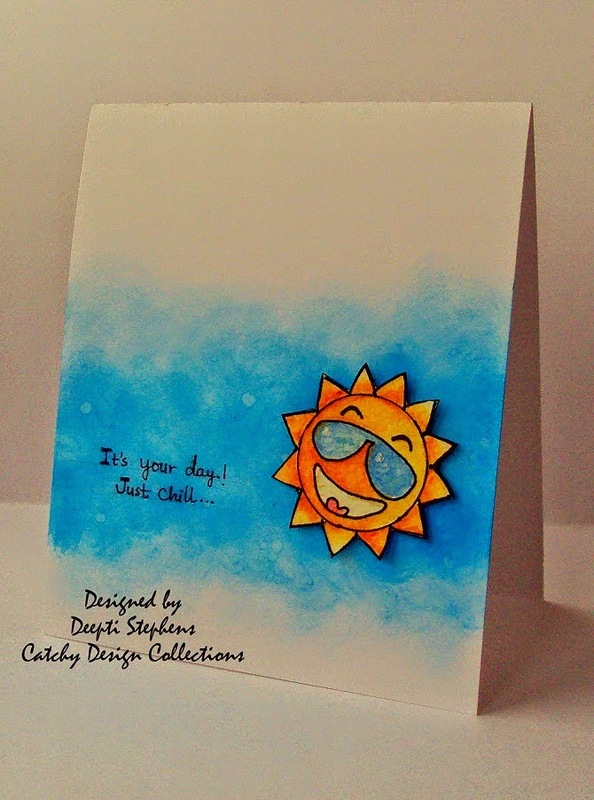 This bright and sunny card is absolutely perfect for any hot summer day! 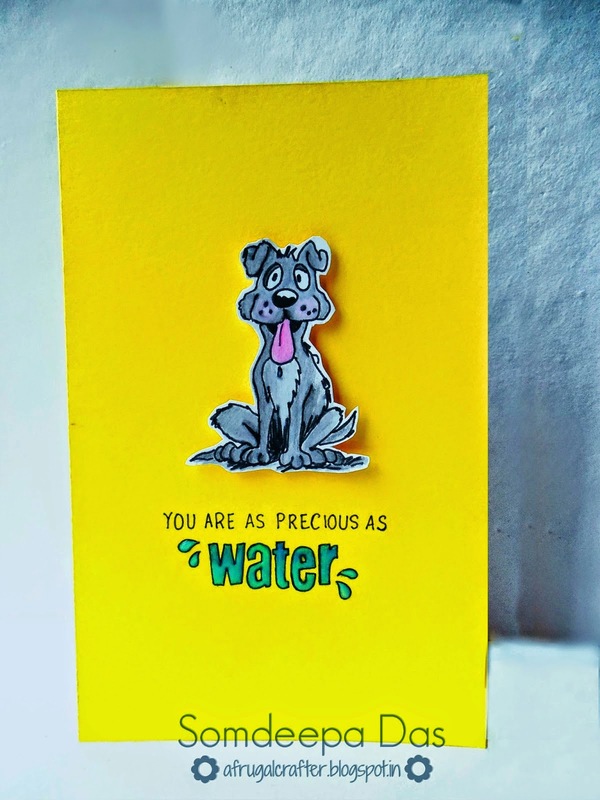 Love your card Deepti! Somdeepa's card was a hot favourite among us all! Her interpretation of the summer theme, her choice of the summer colours and the image she used was outstanding! A CAS card executed to perfection! Please click here to get your blinkes and display them proudly on your blogs! Do remember to participate at our on going Challenge #29- Vacation/Travel/Holiday theme in which ONLY LAYOUTS qualify. Do remember the simple guidelines and be in the chance of winning the gorgeous prize put up by Lulupu! Congrats Somdeepa. Thanks so much for choosing me in top 3. Feels great to be a winner! Congrats Jasleen, Pooja, Deepti and Ramya!